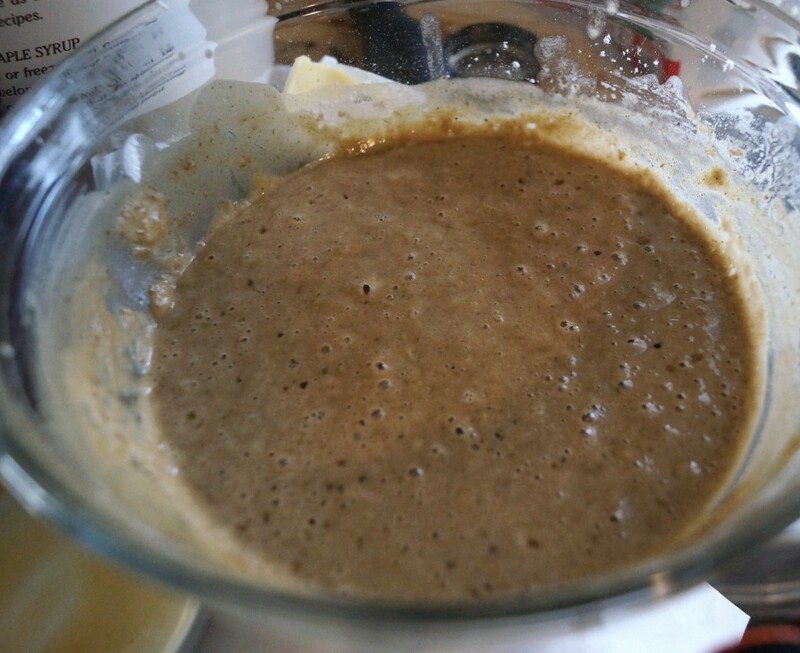 “Trub” is the name for that yeasty sludge left in the bottom of a carboy after the beer has been racked out. With many beers, the trub will absorb the bitterness from the hops, leaving an unpleasant set of flavors to work with. With the apple beer, however, there’s so little of the hops used that the trub is pretty much unaffected. Instead, it has a wonderful apple flavor that just begged to be incorporated into baking. Combine the trub with warm water, brown sugar, salt, and one cup of flour. Stir until combined, and let sit until you see a lot of bubbles forming all across the surface- this indicates that the yeasts are alive, happy, and growing. At this point, gradually continue to add flour until the dough has reached a nice elastic consistency that isn’t sticky. Turn out onto a floured surface and knead for about 5 minutes, until it bounces back when poked. Place dough in a buttered bowl, cover with plastic wrap, and set in a warm place to rise. This is the unpredictable part of the recipe. It could take a few hours or most of the day, depending on the trub and the temperature of the room. The dough should double in size. When this happens, deflate the dough and form it into your desired shape of loaf. Place on a baking sheet sprinkled with either flour or corn meal, cover with plastic wrap, and again allow it to rise until doubled. Bake in a preheated oven at 450F for around 45-55 minutes. 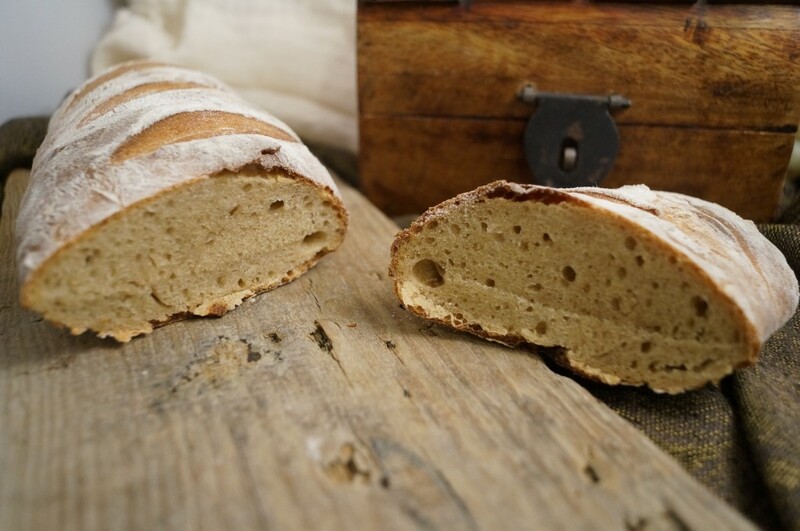 Allow the loaf to completely cool before cutting into it- this allows the inside of the bread to finish cooking. Waiting for the first rise…anxious for the outcome. I actually managed to keep mine alive for several months, like a sourdough. I was using as “barm” for various historical brewing recipes, and just occasionally fed it barley flour.